This video looks at the MG-42, a World War II German machine gun. It is being fired as part of a demonstration at Dellwood Park, Lockwood, Illinois on September 8, 2013. The MG-42, a 7.92×57mm Mauser general purpose machine gun, was designed in Nazi Germany. They were used by the Wehrmacht (Armed Forces) and the Waffen SS. It was designed to replace the more expensive MB-34, though both machine guns remained in production throughout the war. It was very reliable, simple, easy to use, and could be produced more quickly than the MG-34. It is notorious for being able to fire an extremely high amount of concentrated fire in a short time. It could fire at between 1200 and 1500 rounds per minute, making it one of the fastest firing machine guns. The drawback was that the gun barrel overheated quickly, making long periods of firing dangerous. The machine gun also used a lot of ammunition, making it expensive to use. For these reasons the Handbook of the German Army, published in 1940, directed machine gunners to fire at a rate of no more than 250 rounds a minute in a single burst, and 350 rounds in sustained fire. Allied guns tended to be slower when firing but did not suffer so much from overheating. The MG -42t was difficult to keep firing during offensives because it needed to be fed with a constant supply of ammunition. Further, it was difficult to carry enough ammunition while moving. 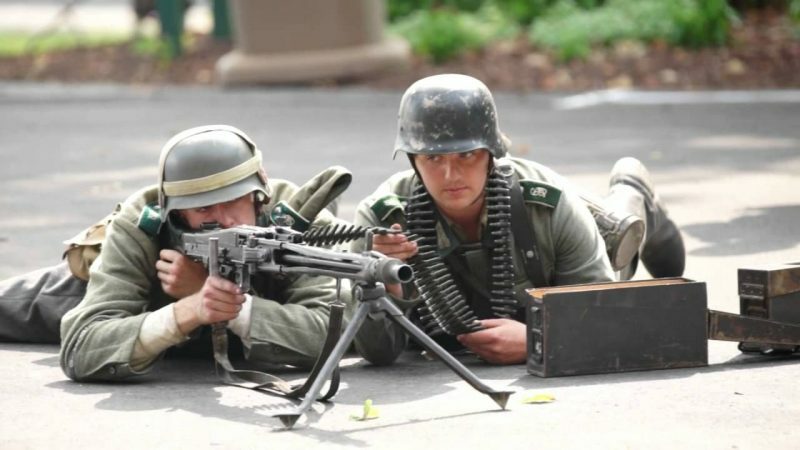 Towards the end of the war, when Germany’s most experienced troops were being killed, few men could be found with the skill and knowledge required to operate the MG -42 efficiently. The MG-42 remained popular after the war, and variations of the machine gun were adopted by several countries.